Big News, And I’m Shouting It From The Mountaintops! Today I have the privilege to announce a new adventure: My novel, WORDS IN THE WINDOWSILL, has been acquired by REUTS Publications, and I couldn’t be more pleased. Read the official announcement here! This book and I have quite a little history! Here’s how our adventure began. In 1994, a friend and I went on an adventure of our own; a month-long trip through several countries in Europe. As classically trained musicians, we were quite interested in the histories and world that Bach, Beethoven, Mozart, and other master composers lived in, and that trip afforded us an opportunity to see much of it first hand. I hadn’t realized it at the time, but on that trip, the seeds of WORDS IN THE WINDOWSILL were planted. During the years (10+!) that followed, I revisited those memories through the photos and journals that I kept during the trip, and as time went on, I knew I had to continue the adventure, in the form of a novel. 2012 brought another stop on WINDOWSILL’s adventure: I decided to use NaNoWriMo as the launching pad for writing it. By the end of the November, I had the first draft nearly completed, and it was clear what a special story it was to me. Its plot continues to hold a unique connection to me and my musical life, as do its characters. But I wondered: Would anyone else feel similarly? I beta’d it. I revised it. I modified and added parts to it. I removed parts of it. I freaked out a little bit when I realized that I still needed those discarded parts, so I sifted through older drafts to put them back in. (It’s true what they say about keeping all of your early drafts… ) I continued to believe in it, and I never gave up hope. Now, several drafts, edits, contests and queries later, the reality is finally sinking in. My novel, set partially in the 21st century and partially in the 1800’s, has found its home, and a new adventure is about to begin. Along this journey, I have met some amazing writerly people, who guided and encouraged me. New friends, professionals in the business. I never met a contest or Twitter pitch party I didn’t like. At one point, I posted about how even though the art of writing seems like a lonely, solitary endeavor, it really isn’t (at least not for me!) We learn from each other in so many ways. Thank you, so much, to everyone who supported me on this incredible journey thus far. It means a lot! So now, WORDS IN THE WINDOWSILL and I embark on another part of this publishing adventure together. I look forward to posting updates on the process from acquisition to publication as we go, and I hope you’ll share the ride with me! And visit my Facebook Page and Twitter as well! I have grown to love NaNoWriMo. That 30-day long leap into the throes of frantic writing exhilarates me. Not only that, but the month of October has, through the years, become treasured as well, because that’s when I plot and plan my way through a fresh new manuscript idea. Love it! But, as October 2015 came lurking on my calendar, I knew, deep down, that starting something new might not be the best idea. Sure, I still have a million ideas in my head; little snippets that will eventually become stories, or subplots within other stories. Also swirling around my imagination are characters which are still in their embryonic stage, but will someday become mature. This year was different, though. Along with those gestational ideas waiting to be developed, I had a few novels that needed finishing touches. Since my RodeoRomCom was nearly complete, that became my focus. So, October 1, I made my plan of attack: Scan through my RodeoRomCom, plan out where to polish, add, or delete. But you know what they say about the best laid plans, right? Yeah. That happened to me. Mid-October, my husband took me on a weekend trip to coastal Maine. This was a much needed break and I reveled in every moment. And that’s when I noticed the multi-toned sounds of the harbor bells. It was these tones that awakened a sleepy, partially written manuscript I had set aside when it needed a time out. A-ha! An epiphany! So there I was, mid October, and I was ready to switch gears completely. I dug out my completely unfinished Literary Fantasy (thank you for the genre identification help, @KisaWhipkey! ), and jumped in head first. All of a sudden, the book had direction, a major focus shift, and best of all, an amazing TITLE! So, this November, I worked on this Literary Fantasy, THREE HARBOR BELLS, which I can now say is one of the deepest, most cool pieces of writing I have ever done. It’s still not complete, but I can see how it ends, and I couldn’t be more pleased with its direction. In the end, this year I was not able to get 50K new words of a new novel. But, hey, I still got so much out of the month! And isn’t inspiration a magical thing? Who knew that my little weekend trip to Maine would yield something so amazing? THREE HARBOR BELLS has a really great ring to it. How did NaNoWriMo work out for you all? Let me know in the comments! It’s so hard to believe that it is almost the holiday season! But this isn’t a post about the holidays. Not really. Well, perhaps a little. It’s a post about how time can get away from us, and the feelings of guilt that can come along with that, from a writer’s perspective. 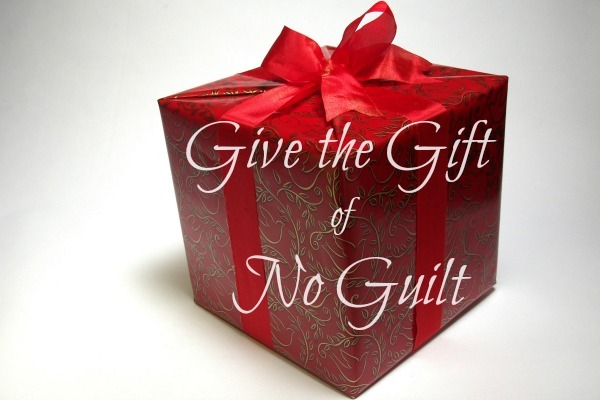 So, with the holiday season approaching, let us encourage each other with the gift of no guilt. I’m sorry, I couldn’t resist that picture! In an earlier post, I outlined how I fit writing into my teaching life. You can read that post here. As I look at that post, I freak out a little bit, because, my writing life at the moment isn’t at all what it would typically be at this point. It’s not that I am so rigid that I have to fit my life to a certain mold to feel fulfilled as a writer. I know that the aforementioned post is pretty much an outline that I try to follow on a yearly basis. Historically, it’s a plan that has worked well. I don’t think it’s a great thing to berate ourselves for not being able to meet them. Obviously, if you are writing to meet professional deadlines, and you have an income attached to it, that might be a different story. But for me, I can’t let a little thing like guilt stop me. It can be difficult to put this into perspective, but it sometimes takes years to get a book right. Not only that, but many of us have many writing projects going on at the same time; some on submission, some merely outlined, some with Beta readers, some in a very rough first draft. And as awesome as it is to have created so many projects, it can get overwhelming. This again fuels the fires of guilt. We might ask ourselves, “Why can’t I finish anything?” When these feelings of guilt pounce into my writing life, I need to remember to step back, and appreciate the “little victories” that I have accomplished. So I didn’t start a new NaNo this month. That’s okay. So I missed a few Sunday blog posts. It happens. The good news? I opened up my “guilt-free” package today and found a whole lot of great stuff! There are always positive things we writers can look back to, and forward towards the future. I’ve been inspired to dust off a partially written manuscript, and create some lovely scenes that I hadn’t even considered before. And the creative mind in me always churns out new ideas to explore. I’m going to ride that train as long as I can. So in the end, this post is about me taking my own advice. And getting back to the pretty little “guilt-free” gift at the beginning of this post… I hope you can open it up and find some awesomeness to celebrate about your writing life. Tell me…How do you deal with guilt as a writer? What kinds of awesome are in you “guilt-free” gift box? Please share your comments below. My book baby is out of time-out! The post below describes how I dealt with an unruly manuscript that was spiraling out of control, to the point where I couldn’t figure out what to do with it. Well, after a weekend trip to Maine which provided me several sparks of inspiration, I have coaxed my 2013 NaNoWriMo effort out of hiding, and back into my start screen! It now officially has a title I love, and a thread which has the potential to tie the whole thing together. Fall has been with us for a few weeks now, and with that came the start of school. I have never known anything different; the change of months and seasons brings with it different phases of a teachers life and planning. My mother was a teacher, so even during infancy, my life revolved around this same cyclical pattern. As a writer, I find that I have gotten used to this pattern as well. It may seem strange, but even though my day job begins anew each Fall, I find that as a writer, I look forward to this time. It’s a time for me to get creative…even more creative! My time for writing seems to diminish, but it really doesn’t. I just have to figure out how to use my time differently. So, for today’s post, I am going to outline the little things I do during Back To School and beyond to include the writing/editing process. I will use a month-by-month format, because that’s kind of the way my life rolls. Read blog posts! Read blog posts of others to get ideas about time management/writing organization. Get creative! As my work schedule and student load settle in, make a plan for how to fit in daily writing. Work on my own blog posts and other shorter works. September can be tough for me to focus on larger works. Follow up with works in progress as I can. Plan out my NaNoWriMo. I try to plot something completely new each year. This is a great month for me to do some beta work. NaNo hasn’t started yet! Maintain my writing goal of 2000 words daily. Thanksgiving break is this month, so it is actually very do-able for me. This is a heavy concert month for me, so I focus on editing small bits at a time. Those small bits get shined and sparkled! My NaNo for that year usually gets set aside until January. 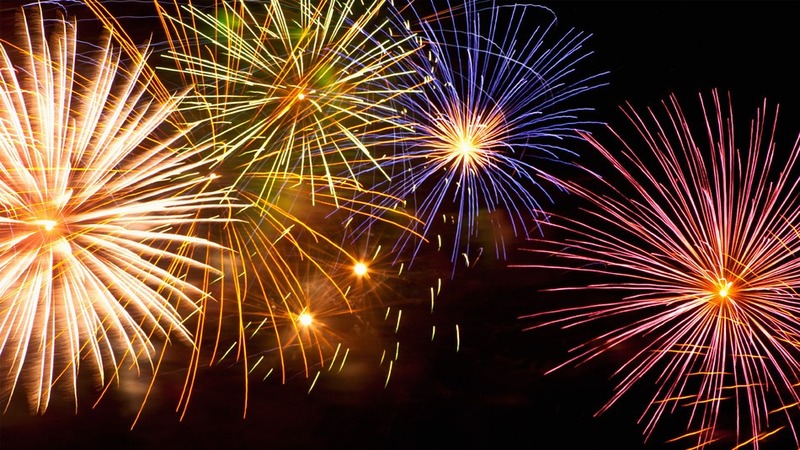 January–New Year, New Manuscript to Work Through! Dig out my NaNo, and start filling in the holes. This does take time…I am a lean first drafter! February–Short Month, With Some Extra Time! President’s Week (vacation!) is a time for me to reevaluate my progress. I work on final polishes, if I have any, and prepare to submit things. March–Long Month, But Not Much Extra Time! While March is a longer month, here in the North Country, much time is spent digging ourselves out of the snow. I tend to submit my polished things during this time, if there is anything ready. April–Signs of Spring–And Short Stories! Continue work on the year’s NaNo. Continue work on other edits and polishes. I usually get inspired to write short stories during this time. Must be the change of season. May–Concert and Music Festival Season Means Time For Some Planning! Like September, my teaching life is very busy. I use this month to keep up with what I can. Make a plan for what I will be focusing on over the coming summer months. I look to others for ideas. June–End Of School Year, Summer Writing Plan In Place! July and August–Write A Lot, Plan For Upcoming New School Year! The yearly cycle is complete, until it starts again. There you have it! My bare bones writing year outline as it fits in with my day job. I wonder what it’ll feel like when I retire, and this cycle that I have been living my whole life can change? I guess that’ll be a new creative challenge for me! Do you have a day job outside of your writing life? How do you work writing into your schedule? I’d love to hear about it in the comments below! Thanks for stopping by my Writer’s Block today! Today’s post finds me with feelings of gratitude and nostalgia. You see, I bumped into my former English Teacher yesterday at the market. This was something I was not expecting, and what a wonderful encounter it was! It has only been in the last few years that I realized how much of an impression the books we read in 9th grade made on me. In 9th grade English, we read, among others, Romeo and Juliet, The Spoon River Anthology, and The Rime of the Ancient Mariner. Each of those works was great in their own rite, but it was how my teacher presented them to us that made me think about them. When I say “think about them”, I mean after class was over…long after class was over. Like, YEARS after class was over, Through the years, I have wondered why those works stood out to me in 9th grade. I have since learned it was a variety of things. They are each really old. Romeo and Juliet was first published in 1597, Spoon River Anthology was first published in 1915, and The Rime of the Ancient Mariner was first published in 1798. All three of them have a rhythm and structure to the text. Poetic. All three of them allow the reader to get to know the characters on a deep level. The Rime, specifically, has kept me coming to reread it back through the years. Its themes made such an impact on me. It’s kind of sad though, because I find that not many people seem to be familiar with the work. When I bumped into my former English teacher yesterday, all of the excitement and passion I had about The Rime came flooding back. That is a really special thing. When you read or hear something that stays with you for the rest of your life, that’s powerful. So many students in my class would cringe at the thought of reading Shakespeare aloud in class, or any poetry for that matter. I have no idea why. Poets have an ability to not only convey a message to the reader; their work is structured, rhyming or not, in such a way that the poem’s meaning goes even deeper. At least for me. My 9th grade English teacher had a passion for it, and that passion for those works rubbed off. So, it was a true gift to see my 9th grade English teacher at the market. She is in her seventies now, and looks amazing! Right there in the soap aisle, I got to thank her for all of the stuff we learned in her class. I got to show may gratitude. If there is someone from your past that had an impact on your writing life in a profound way, let me know. Today I’m all about inspiration. Thanks for stopping by today, and leave comments below.